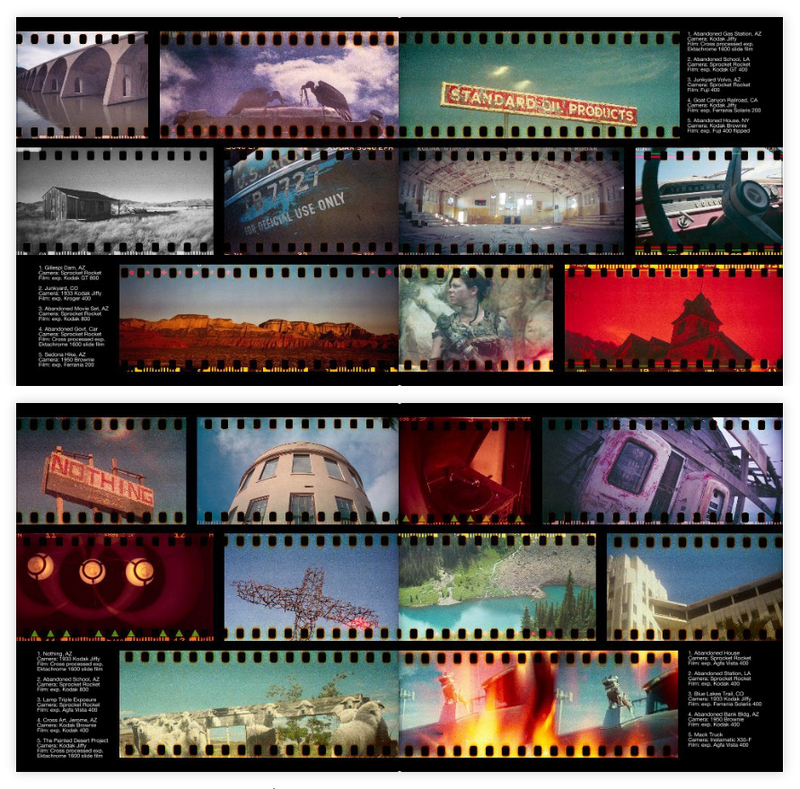 This photography book explores the outcomes of using 35mm film in medium format cameras. Many of the photographs were taken with antique cameras and expired film resulting in unpredictable results. All negatives have been exposed out over the sprocket holes to the film’s edge. 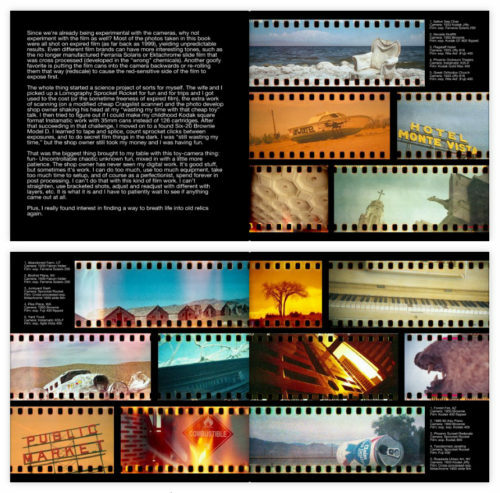 Subjects were chosen to fit the format and feel that only film can bring. 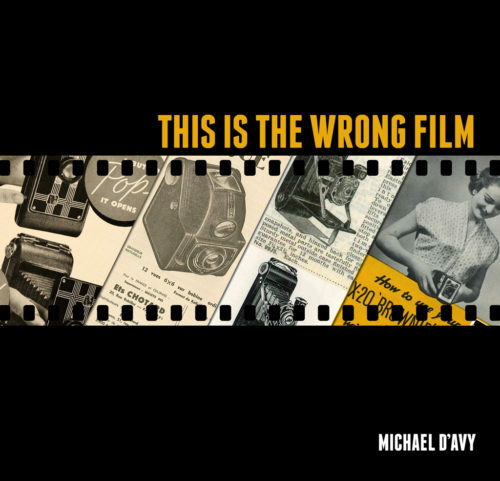 This Is The Wrong Film is been printed on 20 7×7 Premium Matte paper pages and wrapped with a flexible, high-gloss cover. 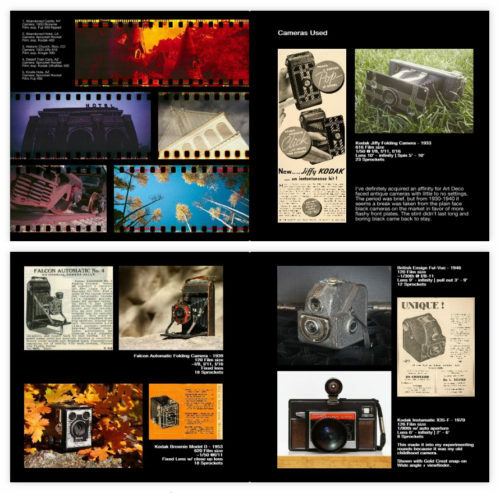 In this book you’ll find over 50 photos scanned from 35mm film negatives including photos and old advertisements for the actual cameras used. The back page also includes a “how to” instructional on how to breathe life into any old camera you may have collecting dust.